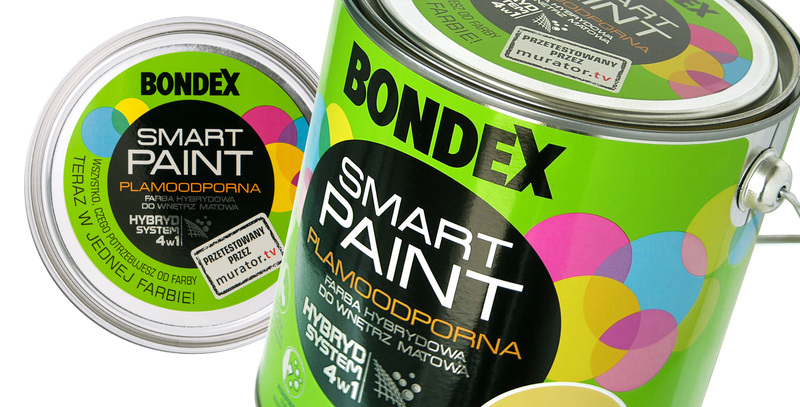 New line of paint, Smart Paint, made by Danish company Bondex was to attract the attention of potential customer by its discernible packaging on shop shelf. 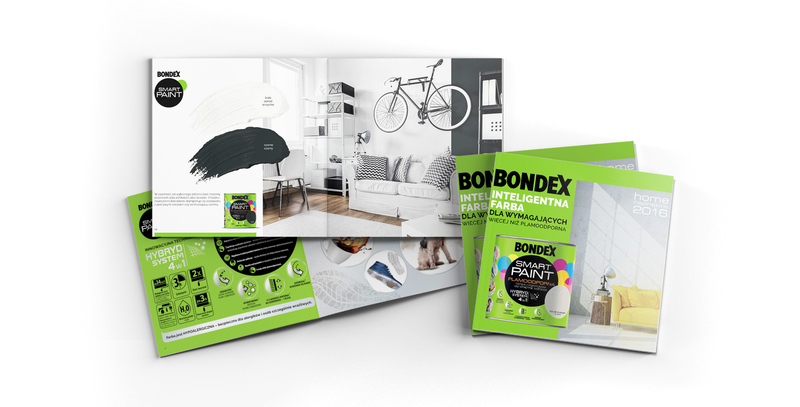 As part of branding work, we have designed modern packagings and devised BTL and ATL materials. Using pronounced greed colour, we have discerned the brand and made it stand out a lot when compared with the competition. The layout we have built with black wheel as a focal point, which is a centre of attention and builds impactness. 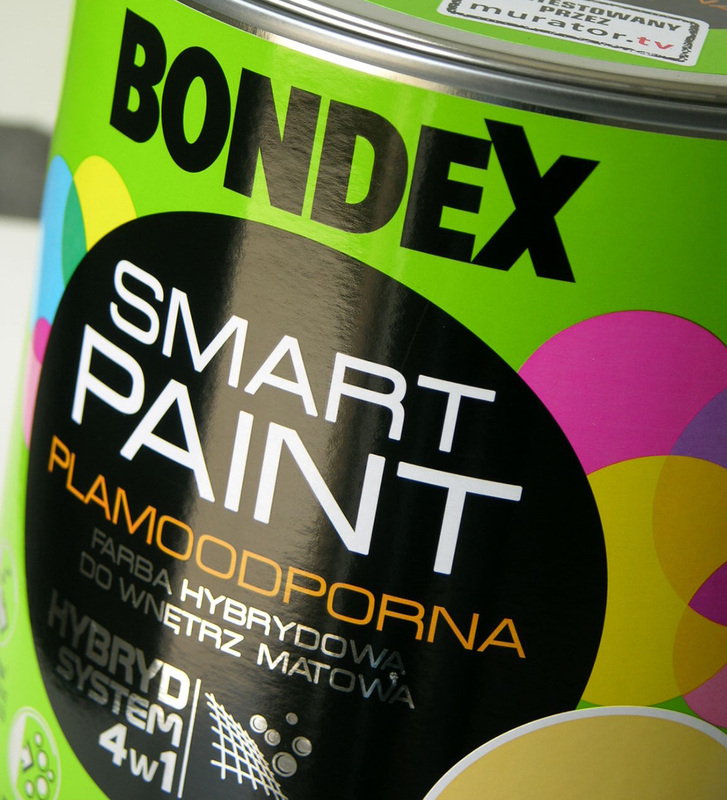 In order to emphasise the modern and technical nature of the paint, we have applied straightforward, sans serif fonts. 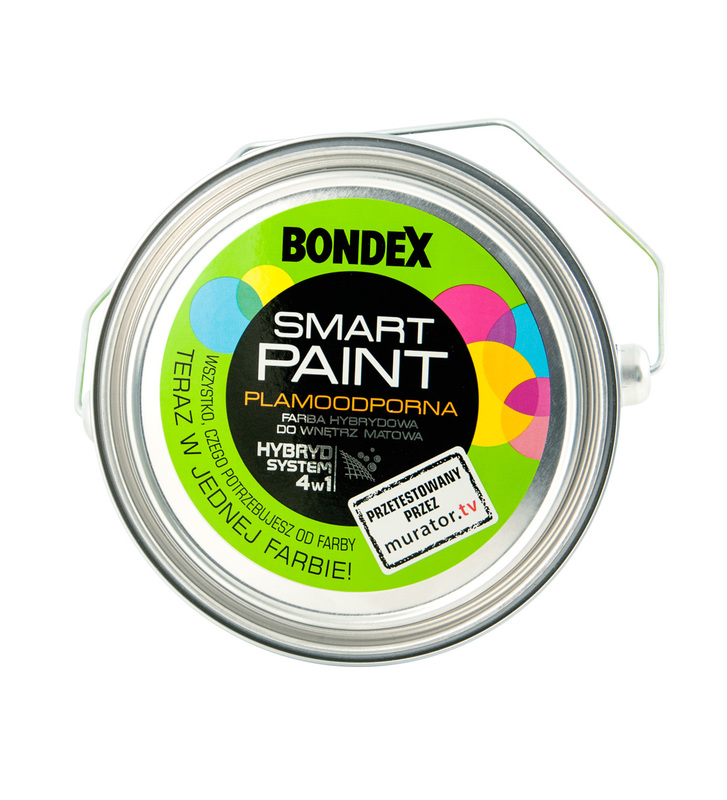 Well pronounced icons communicate the main characteristics od Smart Paint, such as stain resistance and easy removal of dirt. 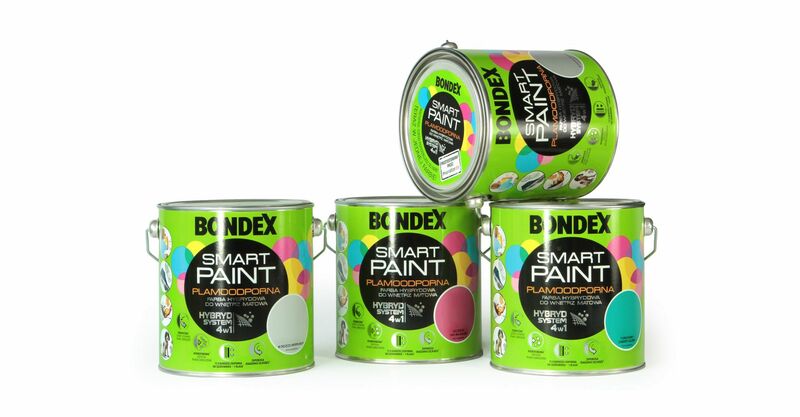 Despite the numerous graphical elements, Smart Paint packaging is legible, and it clearly communicates the key advantages of the product.